Leonard Cohens latest A Souvenir of the Grand Tour release due on May 12, 2015. The ten songs of this hypnotic album are Cohen rarities recorded on his recent, celebrated “Old Ideas World Tour. Remarkably, this is Cohen’s third album release since last September. The platinum selling Popular Problems garnered four 2015 JUNO AWARD nominations and won for the coveted ‘Album of the Year’. 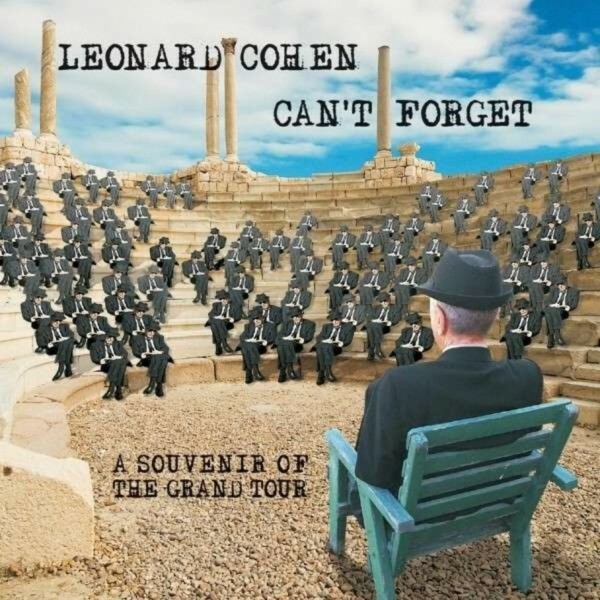 The songs on Leonard Cohen Can’t Forget Souvenir of the Grand Tour have the immediacy and intimacy of the best studio recordings made in the white heat of live performance and Cohen’s legendary sound checks. Here is a full range of Leonard Cohen’s work: new songs including, from the realm of blues, the wickedly funny “Got a Little Secret” and “Never Gave Nobody Trouble“; luxurious performances of such Cohen masterpieces as “I Can’t Forget,” “Light As the Breeze,” “Night Comes On,” and a sublime “Joan of Arc”. Cohen also treats us to a gripping version of the Quebecois love song “La Manic,” performed before a captivated audience in Quebec City. Also included is a moving tribute cover of the late country master George Jones’s “Choices.” These are songs and performances of the first order that you can’t forget. 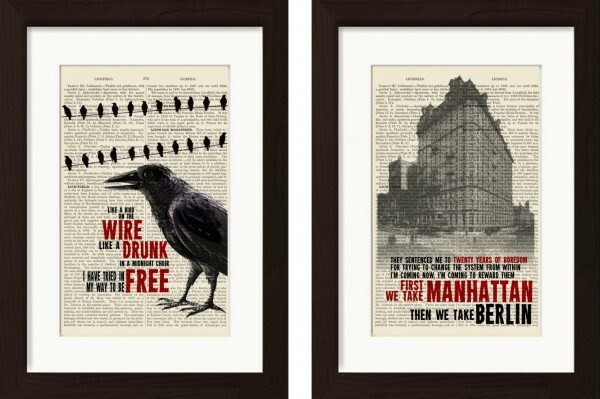 What we have available at www.dictionarypageprints.com is a huge selection of vintage dictionary song lyric prints, including some with Leonard’s lyrics , pre matted and mounted ready to pop into a standard A4 frame. All with free shipping worldwide.